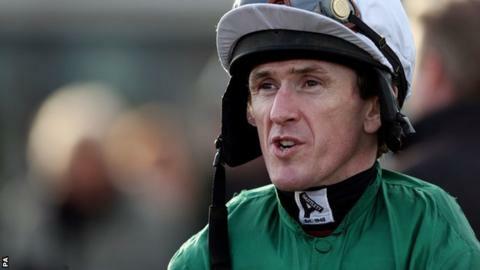 Northern Ireland sports stars AP McCoy and Carl Frampton have been recognised in the New Year's Honours list. McCoy, regarded as the greatest jump jockey ever, has been made a knight while world champion boxer Frampton becomes an MBE. Paralympic swimmer Diane McMillan, from Larne, former Ireland cricketer Roy Harrison and rugby official Ian Beggs have been appointed MBEs. McCoy, 41, retired in April after riding more than 4,300 winners. He was voted BBC Sports Personality of the Year in 2010, the year in which he won the Grand National at the 15th attempt on Don't Push It. As well as that long-awaited Aintree triumph, McCoy won the Cheltenham Gold Cup twice, three Champion Hurdles and the Champion Chase. Earlier, this month the man from Moneyglass in County Antrim received a lifetime achievement award at the BBC's Sports Personality of the Year show. Frampton, managed by former WBA featherweight champion Barry McGuigan, is currently preparing for a big unification contest with England's Scott Quigg in Manchester on 27 February. The 28-year-old, from north Belfast, holds the IBF super-bantamweight belt while Bury boxer Quigg has the WBA title. Frampton turned professional in 2009 after winning Irish amateur titles, and became European champion in 2013 by beating Kiko Martinez. Spaniard Martinez was again the opponent when Framption, nicknamed The Jackal, took the IBF world crown at Belfast's Titanic Quarter in September 2014. McMillan, then Dianne Barr, won two gold medals at the Seoul Games in 1988 at the age of 16. The below-the-knee amputee also won one silver and two bronze medals in Korea, and four years later got another Paralympic bronze medal in Barcelona. She has been recognised for services to swimming and disability awareness. Roy Harrison, a long-serving player and official of Waringstown Cricket Club, won three caps for Ireland and his brothers Deryck, Garfield and Jim were also internationals. He was an opening batsman for Waringstown, scoring more than 9,000 runs and taking in excess of 300 wickets in a long and distinguished club career. Off the pitch, Harrison was a dedicated and respected official, serving as president of the Northern Cricket Union in 2001 and the Irish Cricket Union five years later. Ian Beggs has been recognised for his long service as an administrator with Carrickfergus Rugby Club and the Ulster Branch of the IRFU. Beggs served as club secretary and was heavily involved in the successful Carrick Sevens tournament during an association with the County Antrim club which stretches back almost 60 years. In 2012, he was elected an honorary life vice-president of the Ulster Branch, an honour which has been awarded on just three occasions.